This year for softball we placed Rebekah up an age group so that the older girls could be on the same team. We needed to condense some of our sports commitments and this was the only way to have fewer games and practices while still allowing the older three kids to play a sport. I worried about that decision. Not only would she be at least a year younger than much of her team, but she also seemed to have inherited my (lack of) athletic skill. I just hoped that she’d have fun and not be frustrated by any deficit in skill caused by her age (or her heredity). Rebekah has far exceeded my expectations and we are only half way through the season. She loves being a Thunder Girl. At every at bat she gets a solid hit. Her wind up is adorable; I must remember to charge the video camera before the next game to capture it on tape. Rob calls it the slowest wind up ever, but it surely works for her! 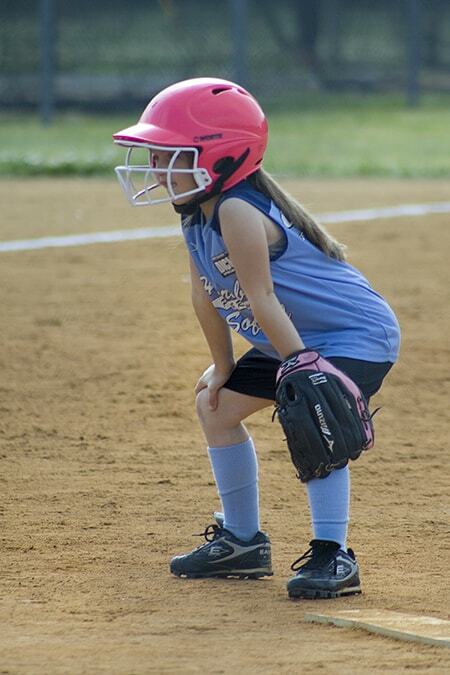 Last season during t-ball she spent her outfield time trying to draw designs in the dirt with her cleat. This season she pays attention the entire time; she is eager play from the beginning to the end of every game. She hasn’t had the opportunity to catch or stop many balls while outfield, but she stays ready for her chance. 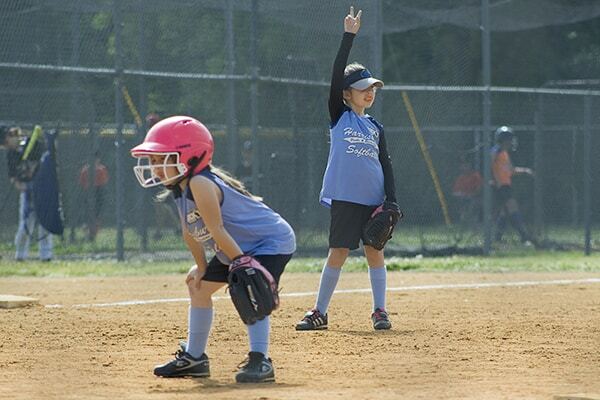 Today, she got to play pitcher for several innings while Miriam was right behind her at 3rd base. Today the girl’s team won 10-1. Rebekah scored a run and the girls had 3 RBIs between them. 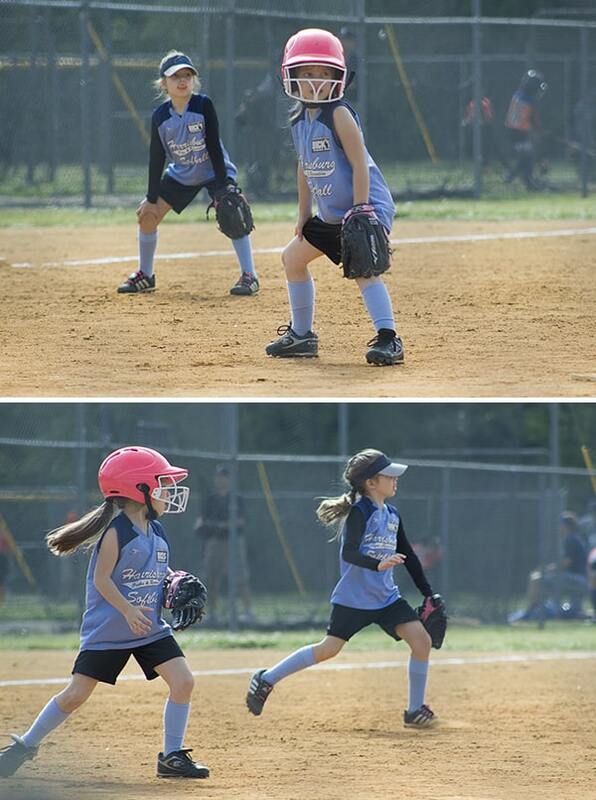 This last photo is Miriam in the last inning reminding her teammates that they already had two outs! Just one more to go!